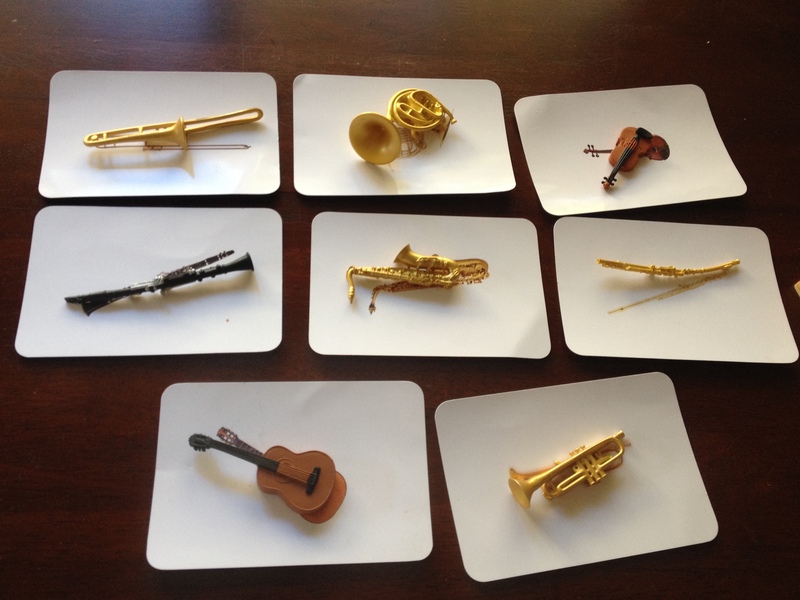 We have had these model instruments and match up cards since my eldest was 2 years of age and she is now 3.5 years old. She knows all these instruments, their names and most of the sounds they make. I used youtube to play the individual sounds. She now recognises most of these instrument sounds when they are played through songs on some of our music cds. Its great if you have any of the real instruments handy for comparison. We have a guitar, that I have allowed both of my children to look at and explore the sound it makes. In the picture above my eldest was showing my 18 month old how to do this activity. We have left the word labels out. I have given my 18 month old a 3 period lesson (only doing stage 1 or 1 & 2 together). 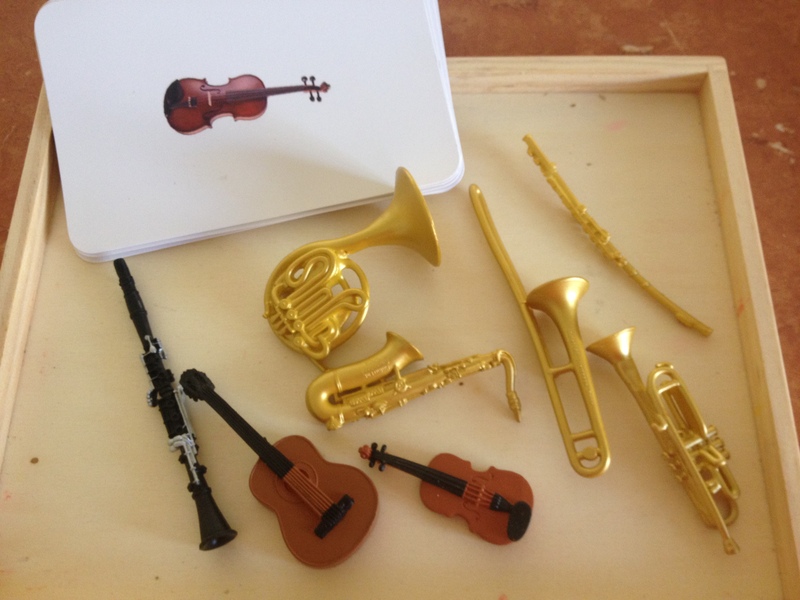 Stage 1: Selecting three of the instruments that are visually dissimilar, placing them one at a time in front of the child, and clearly stating its name. Stage 2: Placing the instruments in front of the child and asking them to identify the instrument that you name, for example; ‘point to the guitar’ or ‘show me the guitar’. Stage 3: Asking the child to identify one instrument at a time, by name. 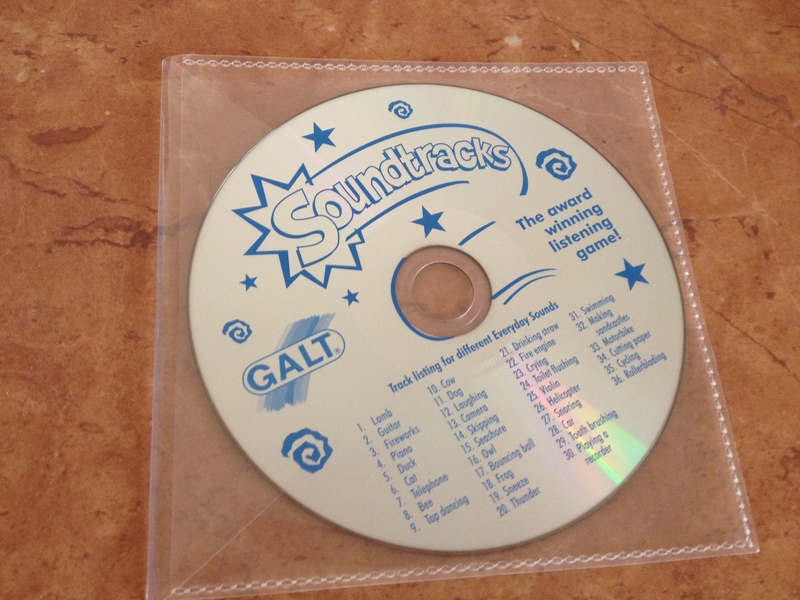 Galt Soundtracks listening cd game. 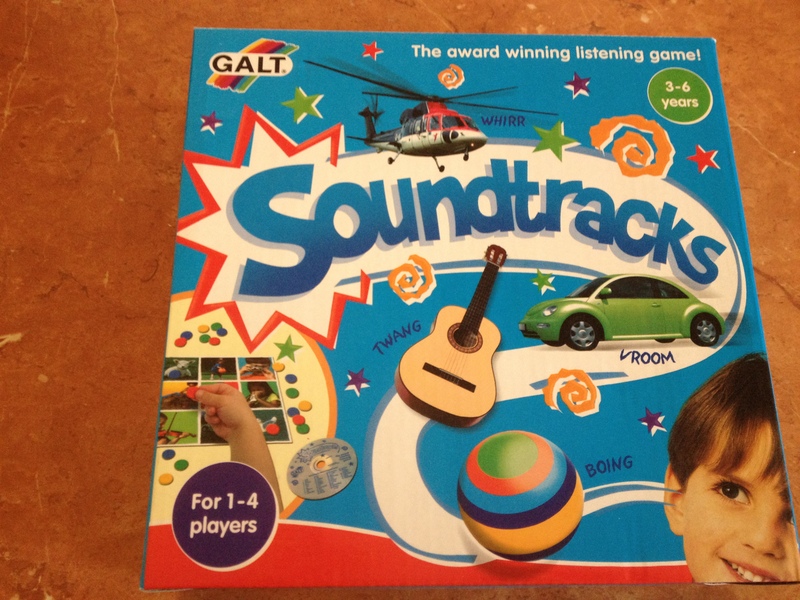 This game contains a cd of real sounds, 4 game boards of real pictures and 40 coloured counters. 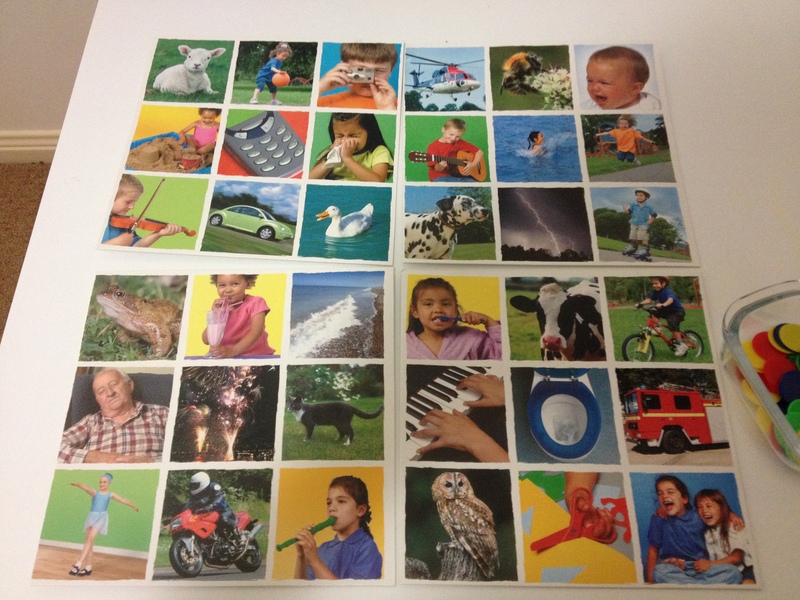 This is a great concentration activity and great for improving listening skills as well as language development. We have used this since my eldest was 2.5 years old and still uses it. Initially when we did this activity she did not know what was on all of the pictures on the boards and did not recognise all of the sounds on the cd, but at 3 years of age she did and still does at 3.5 years.